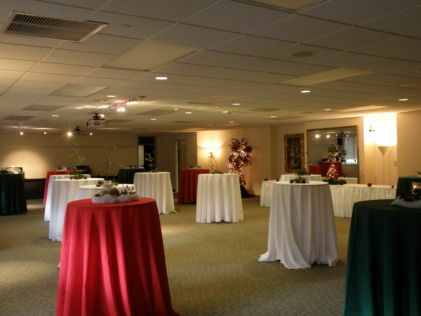 The Angelique Geay Room can accommodate up to 120 guests. 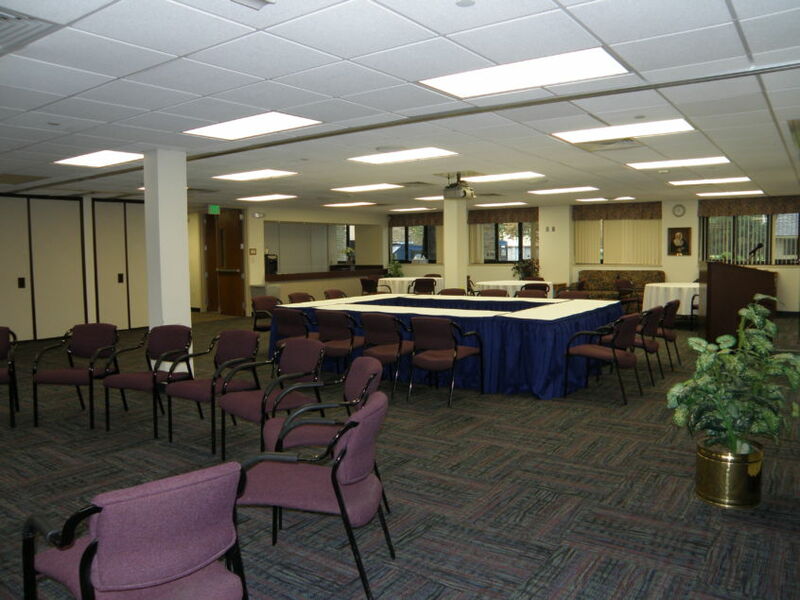 Set up circles of chairs, conference squares or use round tables for seating options. 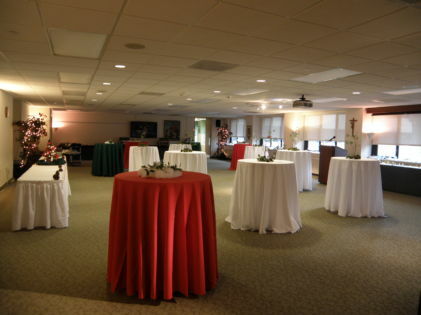 The Josephine Potel Room is our largest meeting room, able to accommodate 150 guests for a meeting or special event. 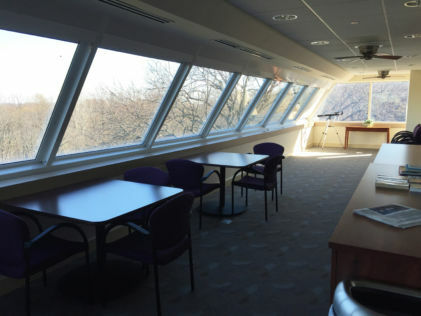 Here’s another angle of the Josephine Potel Room where you can see some of the beautiful view out of the wall of windows. The Josephine Potel room can comfortably seat up to 150 in a theater-style seating arrangement for your speaker. 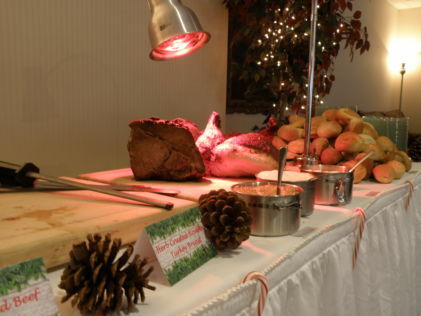 Our Dining Services department offers a wonderful selection of delicious options for your special event. 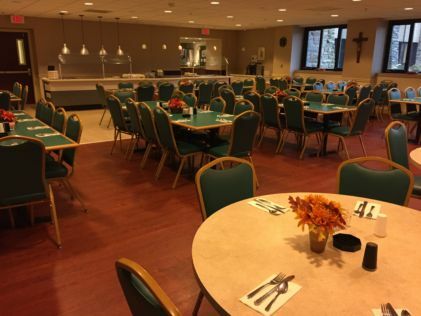 Our Center has two dining rooms and our Dining Services department serves delicious food that our guests rave about! 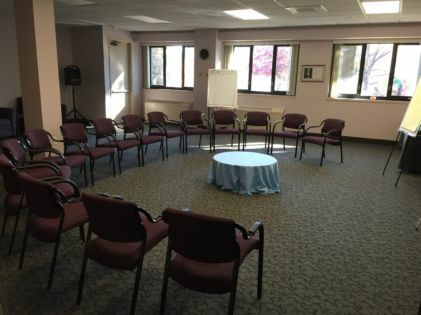 Our Center offers a variety of meeting, conference and retreat rooms, including this medium-sized room for up to 40 guests with a beautiful view of our pond. 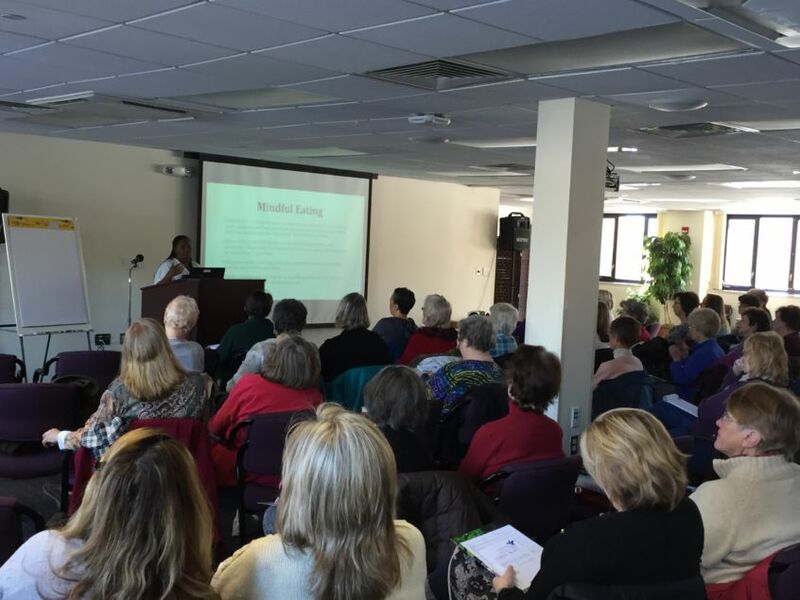 Our Center enables you to bring your group for a conference or you’re invited to attend any one of our many enriching sponsored retreat programs that are open to the public. 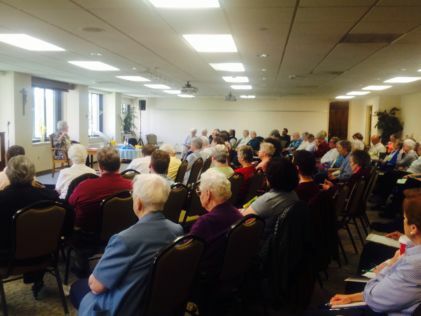 Our Center accommodates a full schedule of retreats that you’re welcome to register for. 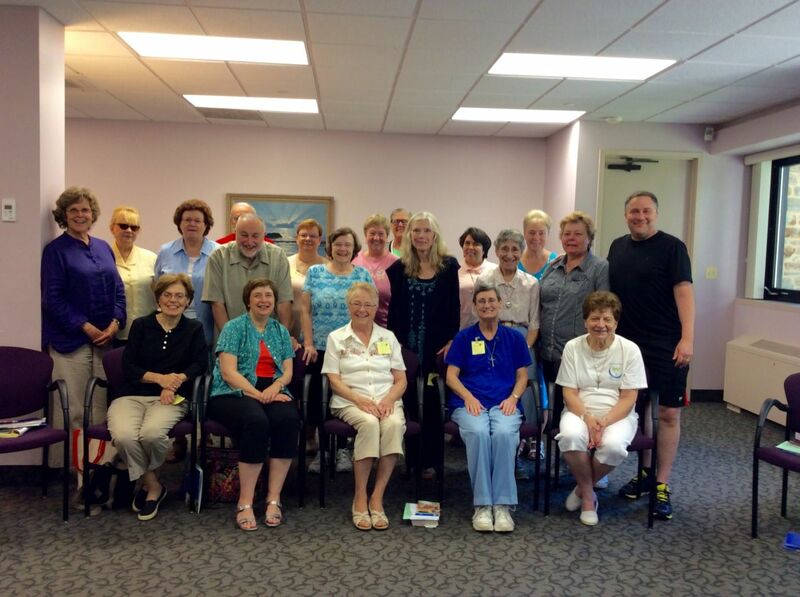 With these retreat groups, you enter as strangers and leave as friends!